Yet the Western is an expansive genre, and its many novels, movies, plays, and shows contain more than the John Fordian vision that a handsome and temperate man is right in whatever violence he chooses to deal. Taken purely, the Western genre needs only its frontier, hardscrabble setting, which has proven a rich canvas for the exploration of lively characters and themes. 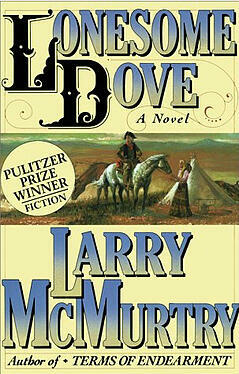 We count here five of the most significant and successful Western novels. The modest, belated resistance of the Kid is all the optimism we get in this masterpiece. It is revealing of the novel’s vision that the most significant character is Judge Holden, whose preternatural qualities make him perversely at home in this sun-baked environment of violence and war (“As well ask men what they think of stone,” the judge says of the latter). Short on charitable vision (there are no heroes here), Blood Meridian offers perhaps the most immersive gaze in American literature at the toll the violent Western life would have taken on the body (death) and the spirit (perdition). In the 1780s, the American West extended no further than Ohio. Willa Cather’s superb novel, informed by her childhood, takes place in the late 1800s on the prairie of Nebraska, reminding us that the border we qualify as the West has always been on the move. This family story is a tale of the frontier and the struggle of making a living on the land, with a lot of heart and without the gun fights and saloons of the cinematic Western. John Williams has experienced an overdue renaissance in readership since his superb novel Stoner was reprinted earlier this decade. A somewhat genteel frontier novel, it is buffalo, not people, who are harmed in the story. Following a Harvard exile who wants to find meaning in life in Kansas, Butcher’s Crossing gives us struggle (the hero kills as many as 100 buffalo per day), but with a search for harmony in life in a noble American vein that runs through Emerson and Whitman onward. This 1902 novel is considered the seminal Western novel, and was published not long after the time period in which its story takes place (its author was born in 1860). The story, in retrospect, with a happy ending and a sympathetic protagonist challenged by his milieu (he is forced to participate in the hanging of a cattle thief and displays disgust), is a sensible starting point for the Western genre in fiction, film, and beyond. Are you a Larry McMurtry, a Zane Grey, a Louis L’Amour, an Elmore Leonard, an Annie Proulx fan, or otherwise? We can only do justice to so many worthy titles in this short space. If we missed any of your favorite Westerns, sound off in the comments below!